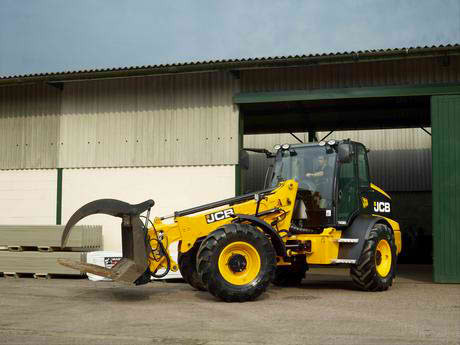 JCB’s range of telescopic wheel loaders are designed to provide supreme versatility in space-restricted areas. From the compact TM180 to the EcoMax-engined TM320 Wastemaster, the telescopic wheel loaders feature the most comfortable, productive and safe operating position. Tractive effort is superb with an oscillating ±10° centre joint for constant ground contact, as well as permanent four-wheel drive. All the machines also boast a flow-sharing hydraulic system which allows two functions to be performed at the same time for reduced cycle times. 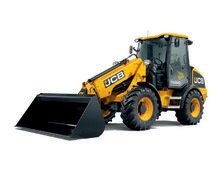 For the versatility of a telescopic wheel loader with articulated steering, powerful loading, telescopic reach and a huge range of attachments, look no further than JCB. The class leader for lift capacity and tearout force, combined with 5.2m lift height, 2.9m forward reach and the ultra-efficient JCB EcoMAX engine. There’s nothing the TM320WM can’t handle.